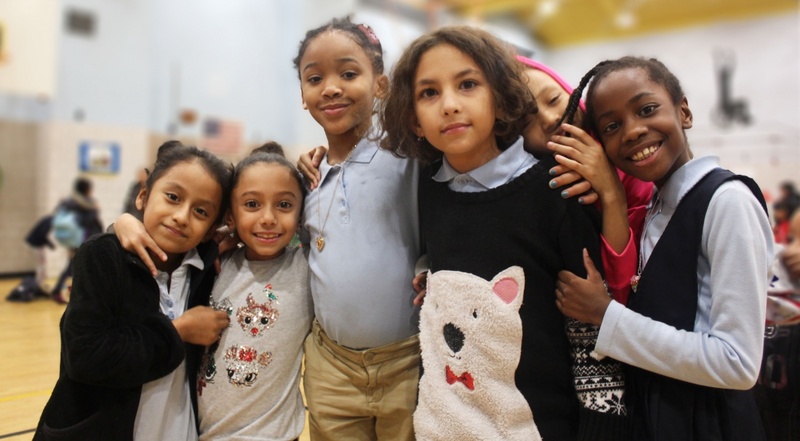 The YWCA’s OST programs create a safe and nurturing environment designed to support academic achievement, enhance social skills and foster success in school and life. We operate elementary and middle school programs for 1000 children in K through 8th grade in Central Harlem, Carroll Gardens, Coney Island and Brownsville, Brooklyn. Our staff of diverse community-based educators and licensed teachers creates strong partnerships with the schools, families, and community leaders to ensure access to a variety of enrichment activities. Foster social & emotional competencies and physical well-being. Students learn how to identify and manage their emotions and resolve conflict through our youth development programming, while staff intentionally models appropriate behavior. Provide opportunities for youth to explore their interests and creativity. Students participate in a variety of hands-on, experiential and creative, project-based learning activities. The YW also conducts field trips to cultural, educational and sporting events that broaden the students’ perspectives and self-concept. Build skills that support academic achievement. Aligned with the New York State Common Core standards, our STEM and Literacy activities support the development of critical thinking, academic competency and other cognitive skills. Additionally, college and career exposure promotes college bound habits and sparks children’s imaginations. Cultivate youth leadership and community engagement. Student feedback about program activities forms a critical component of our program planning process. Students’ leadership skills also emerge as they learn how to collaborate with one another as they complete projects. Engage parents and other caretakers to support OST goals. The YWCA has an open door policy that welcomes families. Parents are partners in encouraging and supporting the core outcomes of after-school programming. Parents are encouraged to contribute ideas, volunteer and attend program events including student performances and events that foster positive interaction between students and their families. Parents have access to youth development specialists during workshops. In addition to hosting new family orientations and other parent information exchange sessions, program leadership is available to address parents’ inquiries and concerns related to after school services. “Adventures in Peace Keeping” is a cultural diversity effort that fosters appreciation of difference, models healthy conflict resolution strategies and promotes civic engagement in the school community. The YWCA’s Gardening Project benefits from immense support from our school partners, community residents and volunteers. The garden project combines science education and healthy eating habits. Throughout the program year students learn botany, life and environmental sciences, nutritional sciences and develop culinary skills using fresh produce from the gardens.